We offer free mattress delivery in certain geographical locations. For specific local and pricing information please refer to our 3 delivery zone charts below. 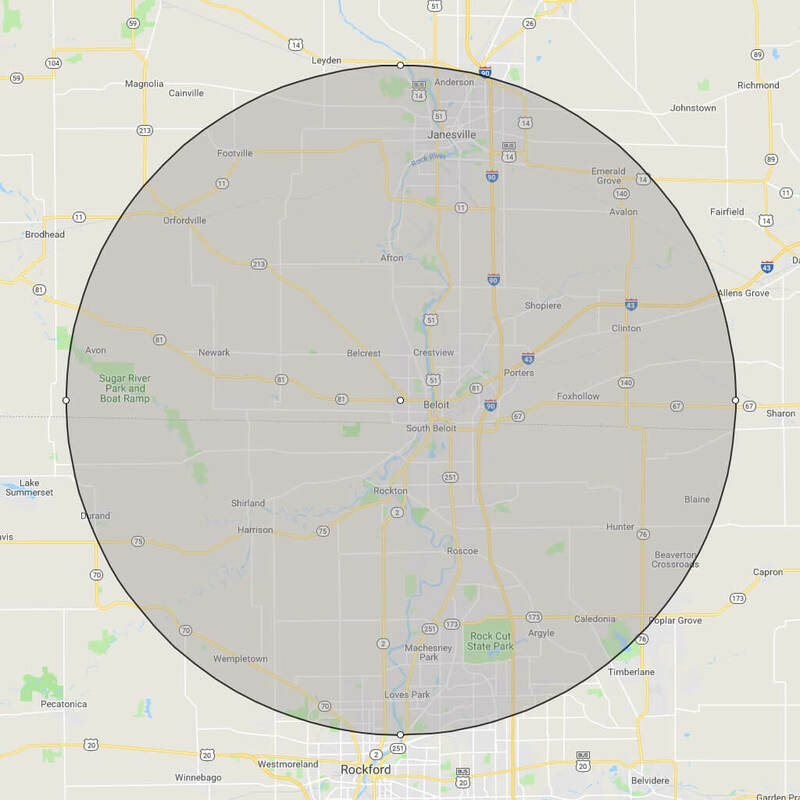 Delivery Zone 1: Free delivery with purchase over $500. $25 Delivery charge for purchases up to $499. Delivery Zone 2: $40 delivery charge with purchase over $500. $75 delivery charge for purchases up to $499. Delivery Zone 3: $80 delivery charge with purchase over $500. $125 delivery charge for purchases up to $499. 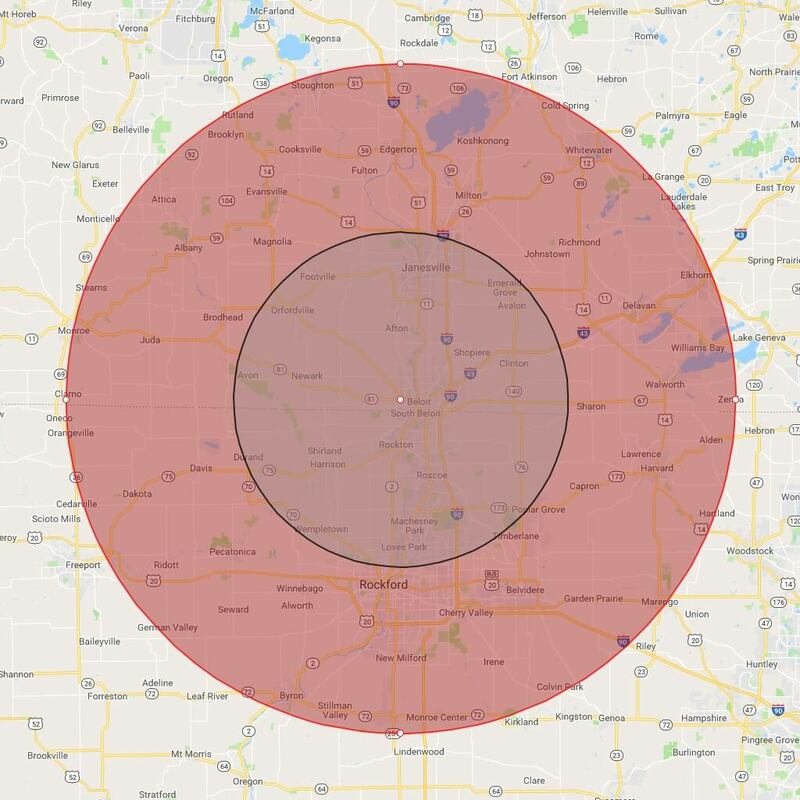 Delivery outside zone three is available on our truck at a cost of $1.78 per mile. This cost is based on the distance from our factory to your house. This distance is determined using Google Maps fastest route. We also offer curbside, white glove, and white glove with mattress removal anywhere in the the United States except Alaska, California, & Hawaii. Fees varies based on location and level of service. Need a delivery outside our 3 Zones? 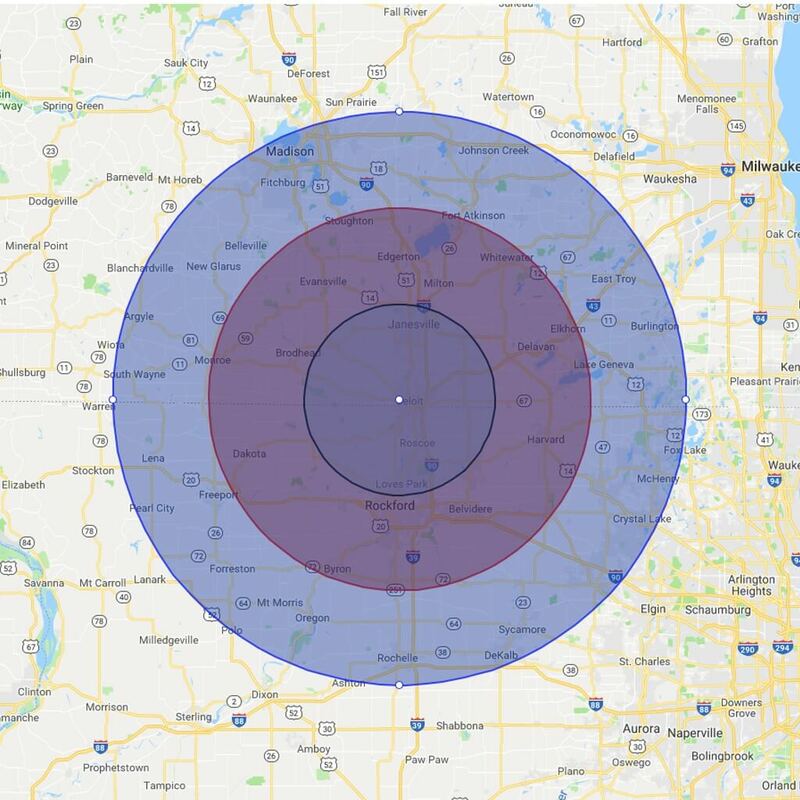 For a quote on delivery outside our 3 Zones please email info@beloitmattress.com or call 815-977-3127 with your address, level of service you would like, and the items you are interested in. We will email you back a price on the different options available in your area. Delivery, set up, removal of old bedding, and 6 months interest free financing if paid in full in six months* on set purchases. *minimum purchase may apply, with approved credit.